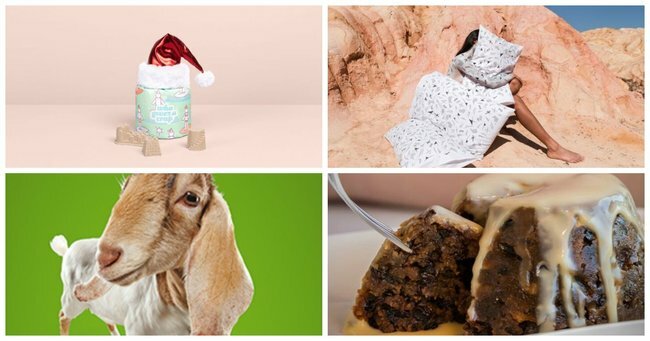 10 ethical Christmas gifts to give this year. The 2015 do-gooder's guide to Christmas shopping. Christmas is nearly upon us, which means buying up big, lest you come off as some sort of Scrooge. Sigh. Okay I lied, it’s not all about buying presents, but sometimes you do want to show your loved ones how much you appreciate them with a thoughtful, tasteful gift — while also getting the recognition you deserve as the thoughtful, tasteful gift-giver you are. I know, I know… the niggling guilt that comes with indulging your capitalist streak. Believe me, I know. So what if I told you, you can give good pressies, while also using your purchase power, positively? Here’s 10 great gift ideas for the smug do-gooder inside you. 1. Some festive toilet paper from Who Gives a Crap. 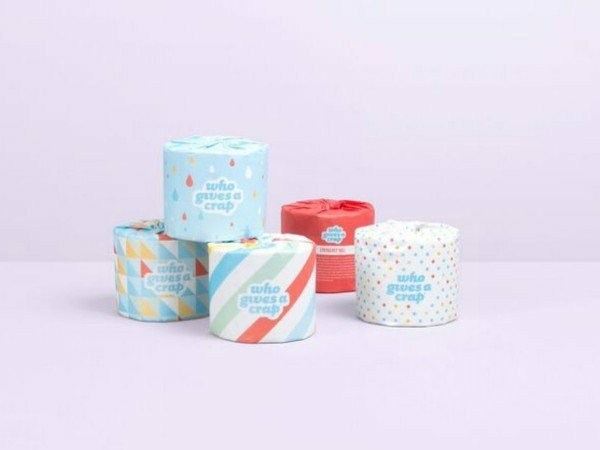 Put an end to crappy Chrissy presents for good with some fancy toilet paper from Who Gives A Crap. By selling you their TP, WGAC helps to build toilets and improve sanitation around the world. It’s also made entirely from recycled materials, with no chlorine, inks, dyes or weird perfumes. A sustainable choice that Santa would be proud of. 2. Subscribe to the Monthly or The Saturday Paper. Keep your family informed next year with a subscription to the Monthly or The Saturday Paper. 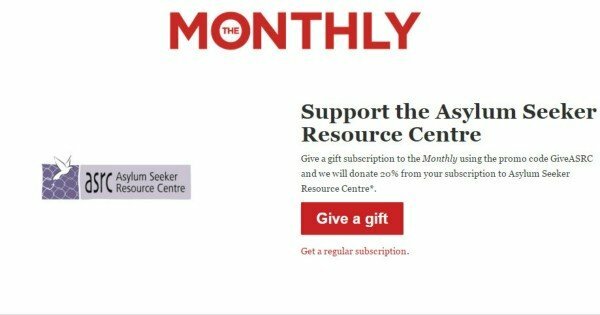 If you purchase gift subscription using the promo code ‘GiveASRC’ they’ll donate 20% of the price to Asylum Seeker Resource Centre. 3. Palmistry pillow cases from the Hands Down Project. 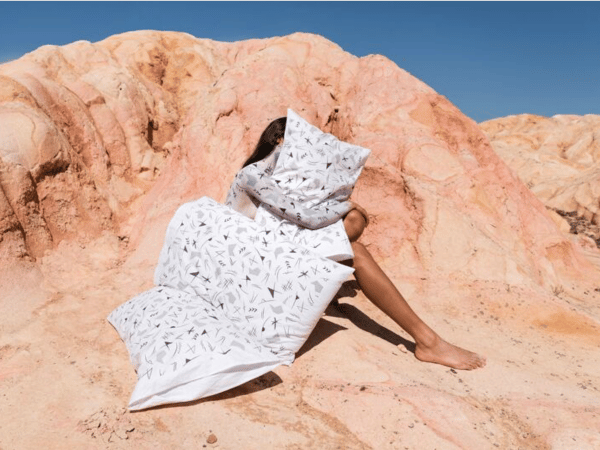 A collaborative project between Melbourne’s PER—TIM and As Is Projects, the pillowcases feature intricate textile designs by Eloise Rapp. The best part? 75% of profits will be donated to the Domestic Violence Resource Centre of Victoria and they proudly designed, manufactured and printed in Melbourne, Victoria. 4. Coffee (or a pudding!) from STREAT. STREAT is an organisation with a business brain and a social heart. Their cafes, catering and coffee roasting businesses are devoted to serving customers, providing training and work experience for young people and generating revenue to run their Youth Programs. 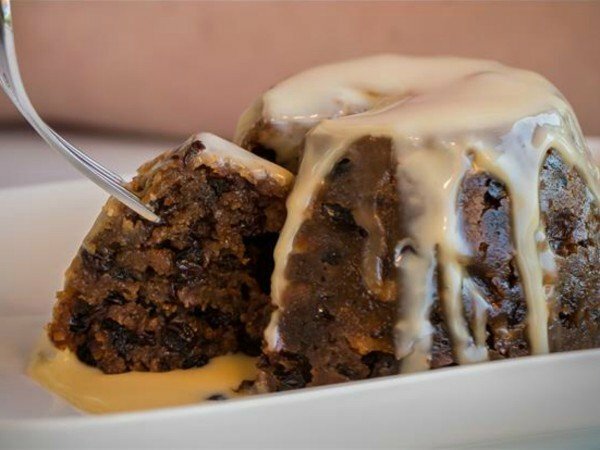 They also sell a range of coffee products and, more importantly, this delicious pudding online. Even do-gooders can be a little naughty. Image: STREAT. 5. A membership for Road to Refuge. 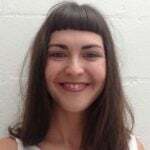 Road to Refuge is a volunteer, not-for-profit organisation that that runs community education events and workshops about asylum seekers and refugees in Australia. They also have an interactive web program, which allows you to take the journey of an asylum seeker from country of origin to our shores. This year R2R are offering memberships, which you can purchase here to stay informed, access exclusive events and help them grow. Vege Threads is an Australian eco fashion label that focuses on sustainability & social awareness. 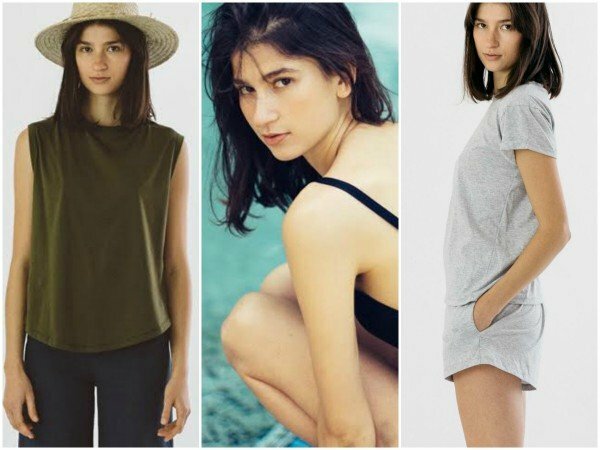 They also make fantastic basics and swimwear — ethically. The brand is stocked in various boutiques around Australia, but can also be bought online, with a percentage of all profits going to their sponsor foundation Northern Bali. 7. Gifts from Edgar’s Mission are twice as nice. Edgar’s Mission is a not-for-profit sanctuary for rescued farmed animals that seeks to create a just and kind world for humans and non-humans alike. Giving a gift to a loved one from Edgar’s Mission no only shows you care about them, but that you also believe in a kinder world for farmed animals. All profits raised go to supporting Edgar’s Mission’s residents, advocacy and public outreach, including school visits. They have a wide range of merchandise here, from beautiful jewellery, keyrings, cook books and t-shirts to 2016 calendars and Christmas cards. Or why not go for a more sentimental gift, a Best Buddy, and sponsor an animal in your friend or family member’s name? A trip to Edgar’s Mission? 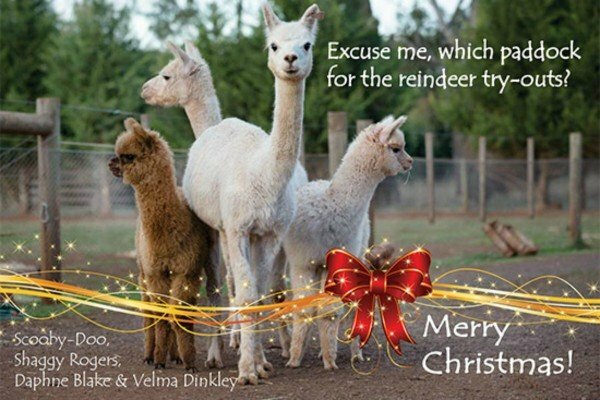 Alpaca my bags. Image: Edgar’s Mission. 8. A card of a pressie from Oxfam. 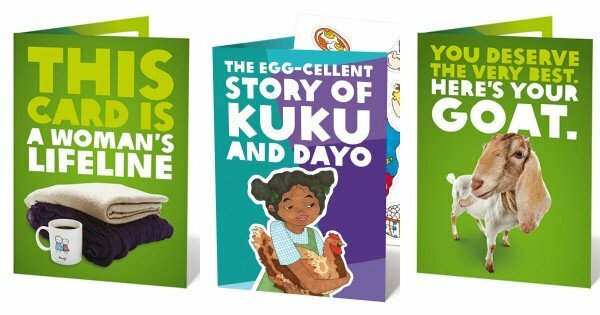 “Oxfam Unwrapped charity gifts are positively, without doubt, hands down the best charity Christmas gift cards in the world. Ever. Get someone a goat, a chicken or even a well. A few of the Unwrapped Gift cards. Image: Oxfam. Or get any of the other cute gifts and toys available from the Oxfam store, like a Sock Monkey. The Social Traders and Australia Post’s Good Spender initiative is an amazing online resource where you can start shopping for change right now. You don’t even need to leave your desk, you lazy, selfless sod. 10.Or buy nothing, from anywhere. In the famous words of Jennifer Lopez (the unofficial patron of giving): “love don’t cost a thing”. Make something, bake something, share something. If you have any cash left over, you can always donate it through GiveNow — Australia’s most user-friendly giving platform.